Every day, good people face incredible struggles. Their lives are turned upside down by legal issues in civil litigation or criminal law, and the uncertainty of the legal system can be overwhelmingly stressful. When our clients walk into Elias Law Offices for the first time, they are under a great deal of pressure - pressure we seek to alleviate through straightforward, informative and understanding representation. Attorney Tom Elias represents individuals throughout York County and surrounding areas in Maine in criminal defense, personal injury and family law disputes with a focus on quality and lasting results. 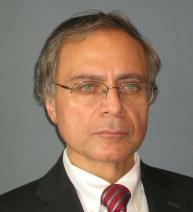 Tom Elias has more than 30 years of experience as a lawyer in a wide range of practice areas. His skill has always been highlighted in courtroom proceedings, where he has developed an ability to find solutions that not only address his clients' immediate needs, but also protect them for years to come. Every case is handled with personal attention and a willingness to listen to client concerns. Elias Law Offices is a safe place where people can discuss the circumstances in their lives free from judgment. We focus on informing our clients of what route is most likely to lead them back to calm waters in their personal life. Whether the opposing party in your case is a prosecutor charging you with an OUI, an insurance company fighting your car accident injury claim, or your former spouse disputing issues of a divorce, we can protect your best interests with integrity, professionalism and unmatched skill. We take the time to understand the circumstances that brought you into our office, firmly believing that solid solutions are only achieved through a deep understanding of the problem. We will never needlessly take your case to court, but we will always be thoroughly prepared for it.